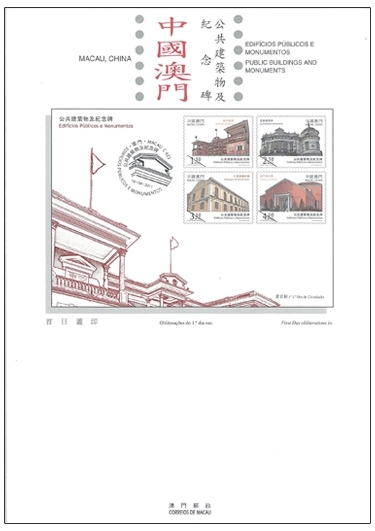 Macao Post will issue the stamp theme “Public Buildings and Monuments” on 19th April, 2011. 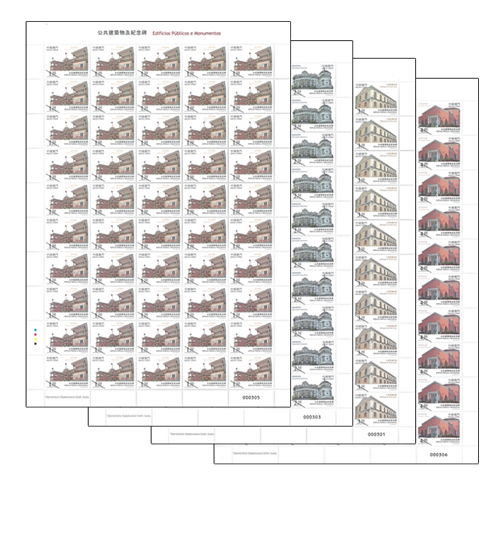 The designer of this issue, Mr. António Conceição Júnior had designed three series of stamps with the same theme during the 80’s. 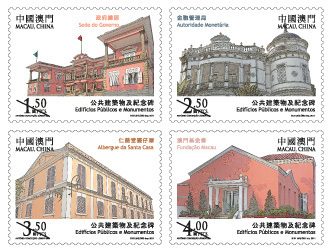 This issue includes a set of four stamps, which selected images of public buildings with significant architectural and artistic value in Macao. Among these are “Government Headquarters”, “Monetary Authority”, “Holy House of Mercy Hospice” and “Macao Foundation”. The stamp designer of this issue is Mr. António Conceição Júnior, and the text of the information brochure is written by Mr. Rogério Beltrão Coelho. This is the third issue in 2011. 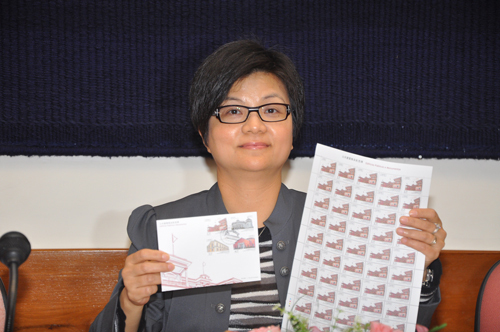 The previous issued stamps are “Lunar Year of the Rabbit” on 05/01/2011 and “Mainland Scenery IV” on 01/03/2011. 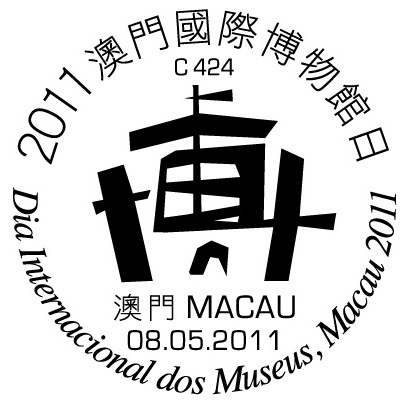 On 19th April 2011, the book “Journey by The World of Macao Philately”, published by Association of Macao Antique Collectors, will be available for sale at Macao Post. 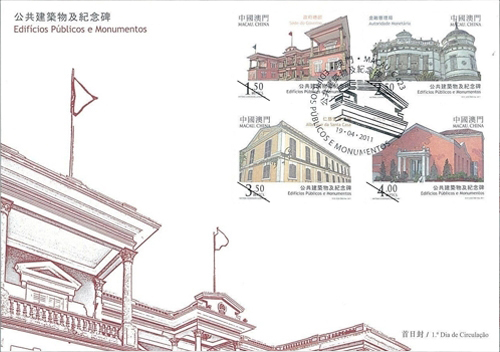 With the presentation of Macao Stamps, the details of Macao’s geography, architecture, sculpture, flowers and historical figures can be discovered from the tiny pieces. 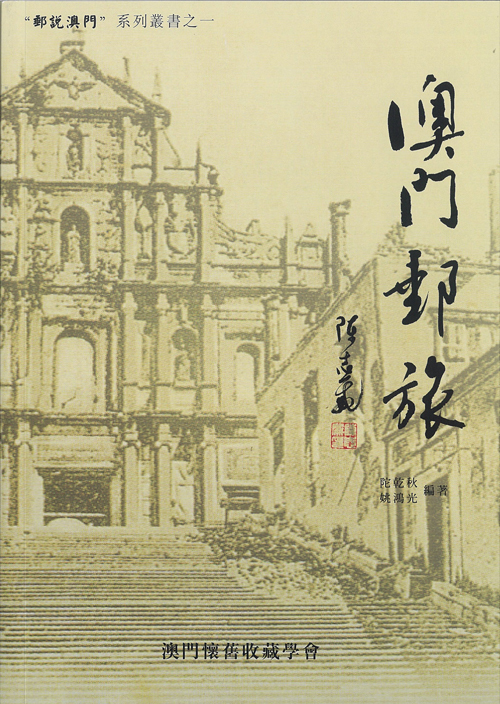 This is not only a book about Macao Stamps, but also a tour guide of Macao. 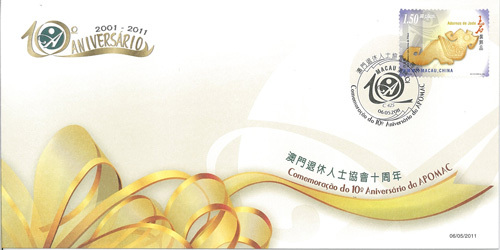 The book “Journey by The World of Macao Philately” is priced at MOP100.00. 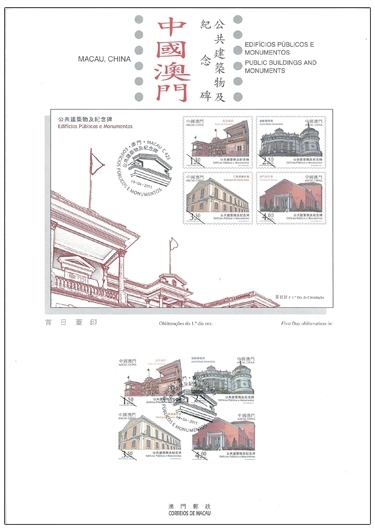 It will be sold at the Philatelic Shop of Macao Post Headquarters, “Rua do Campo” Post Office, Maritime Ferry Terminal Post Office, Airport Post Office and the Communications Museum. 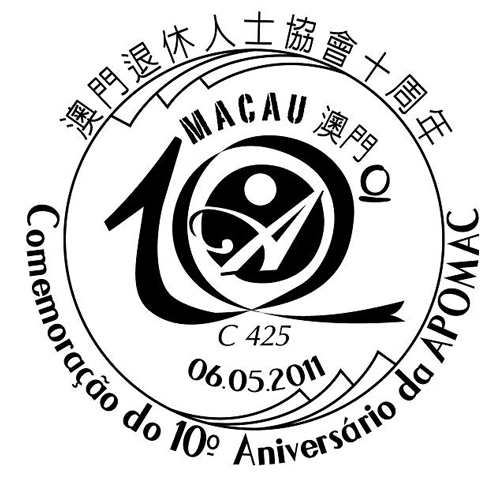 To celebrate the 10th Anniversary of APOMAC, Macao Post announced that a Temporary Post Counter will be set up at the Macau Fisherman’s Wharf Main Hall, from 16:00 to 19:00 on 6th May 2011 to provide the commemorative postmark cancellation service for the “Commemorating the 10th Anniversary of APOMAC”. 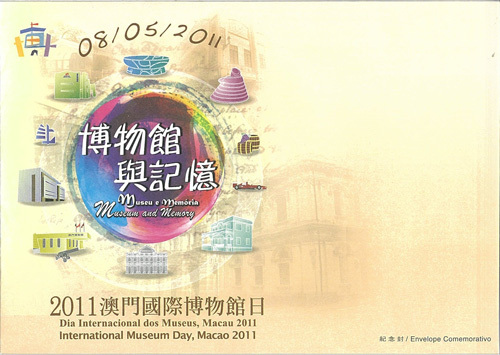 To celebrate the International Museum Day, Macao Post announces that a Temporary Post Counter will be set up at Tap Seac Plaza from 15:00 to 18:00 on 8th May 2011 to provide the commemorative postmark cancellation service for the “International Museum Day – Museum and Memory, Macao 2011”.